School is a big part of our life. Most of us spend around 12 years of our life in classrooms! (Teachers, of course, many more...) We are pretty familiar with what classrooms should look like and what they should have in them. Recently, after a workshop where students were learning about life in Uganda, the students wanted more information about how different classrooms really are in countries around the world. Here is the result. There are some big and surprising contrasts! Below, I have put together some images of classrooms from the countries where we (INA) work in Africa and Asia. Students often go to school in very different conditions than we do, they likely travel long distances on foot to classrooms that don't have many resources, facilities or any electricity, and many schools don't have paid teachers. 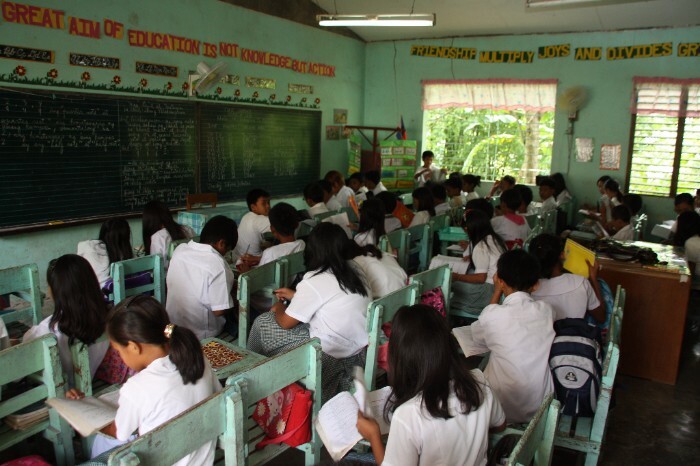 Not all classrooms in these countries look like the ones in the photos, but many do. What you might not be able to see in the photos is the amazing thirst for knowledge and dedication to learning that these students have. Even though they live in poverty in very basic conditions, they know that what they learn at school can change their life! LOOK around them, see what we have and how different our classrooms are. THINK about the differences and how to change the situation. ACT by living simply for a day. Experiencing, even in a small way, makes a deeper connection. You can do this through Just One Day. What are the main differences your students find? These pictures tell a thousand words. Some differences are obvious, while others are a bit more subtle. Here are some keywords/differences for your students to consider: electricity, number of students, rows of seats, technology, resources and materials, buildings, uniforms, blackboards and chalk. What would be the hardest thing to deal with? How do you think the weather impacts student learning? This is a small classroom in rural Ghana - they don't have a building to meet in, but that doesn't stop them from learning. They sit on long bench seating and have to lean over to write on another bench because they don't have a table. They do have a great view and plenty of fresh air though! 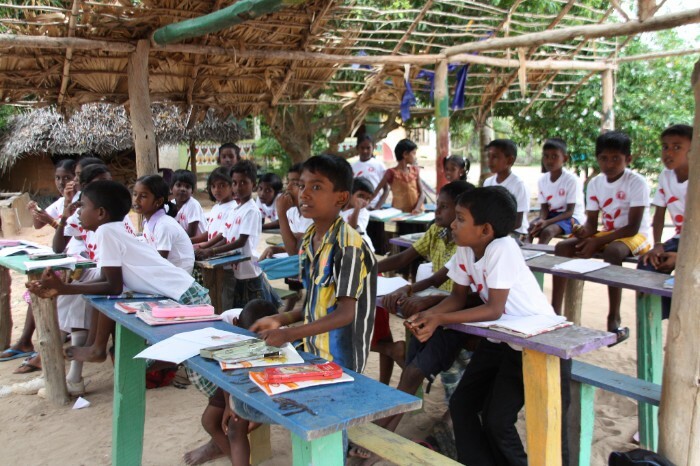 This is a classroom in Sri Lanka's Northern Province. The region has suffered a long and devastating civil war, which has meant that people are living in some very difficult conditions. There is a lot of poverty in the community. 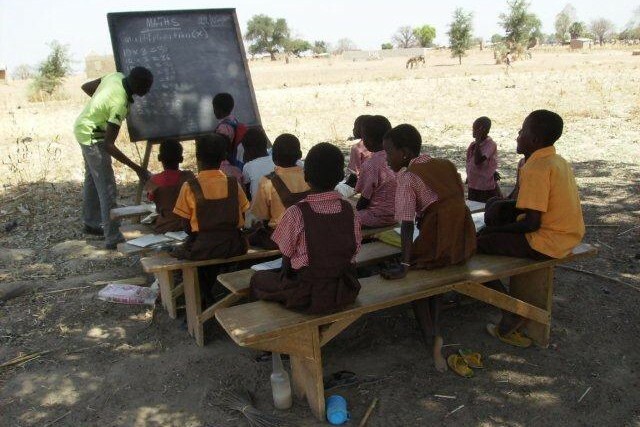 Facilities like school buildings have been damaged or poorly maintained, and rebuilding takes a lot of time and money; this make-shift classroom doesn't even have a roof. Even still, the students are happy to finally have a safe place to meet and learn! 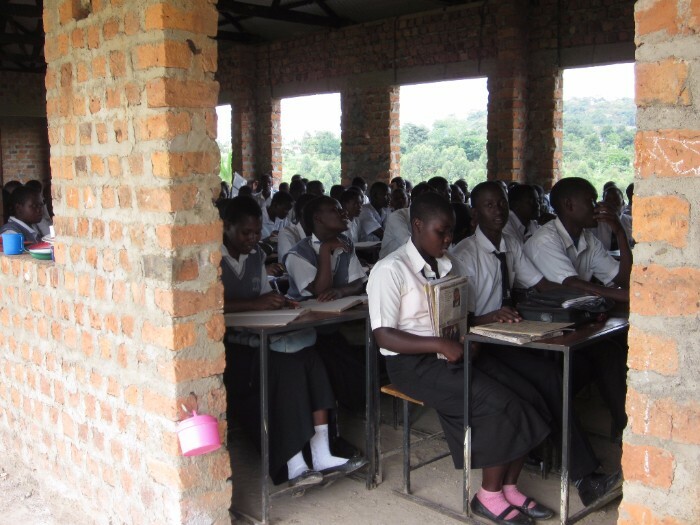 This is a typical classroom in Uganda. They have plenty of large windows to let in the light so they can see the blackboard because they don't have electricity in the buildings. There are a lot of students squeezed in to this room! Notice the cups and plates on the window sill? The students bring their own cups because the school provides a maize flour porridge for breakfast at 11am. This is a classroom in India, although it isn't what you would normally see in a typical classroom. There are only girls at this make-shift school that is especially set up for them. Girls don't often have the chance to go to school like boys do, so often schools and classrooms are set up especially for them by volunteer teachers, otherwise the girls wouldn't get to learn to read and write. This is a school in the Philippines that some of INA's linked children attend. It looks much more like the classrooms that we have here in Australia, although it is a bit more basic. There isn't much technology to help learning, but they do have electricity. Even though many of the children who attend this school go home to slum-like conditions, they still take a lot of care of their uniforms, making sure they are clean and tidy. "The great aim of education is not knowledge, but action." I agree, let's take action so that all children can receive an education.